To provide a vehicle for the mental, emotional, and physical development of all those involved. Here at the Asheville Academy of Taekwondo, we feel that training in the martial arts should provide so much more than just learning to kick and punch. Our training programs also offer a good physical fitness program that includes a system of self defense training. In addition to physical fitness and martial arts training our programs include an opportunity to develop one’s self mentally and emotionally as well. And, not only can this happen for the student but, also for the family member(s) who is there to support the student(s). 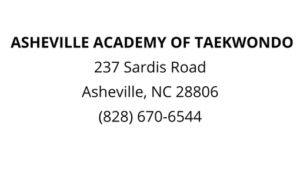 The Asheville Academy of Taekwondo opened its doors on August 27, 1991 and has been teaching and training martial artists here in Asheville ever since. We are under the auspices of the American Taekwondo Foundation and the World Taekwondo Federation. Grandmaster Yun Sung Chung is the president of the ATF. The ATF National Headquarters is in Montgomery, Alabama. Our school serves as regional headquarters of the ATF. We are currently located inside of WNC Barbell at 237 Sardis Rd in Asheville. 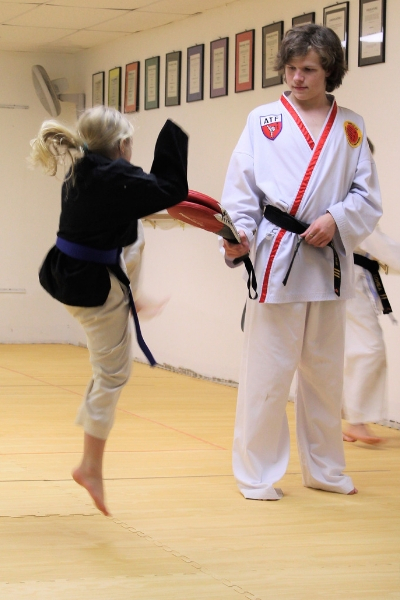 In addition to training students in Taekwondo, we also provide intensive and extensive instructor training. 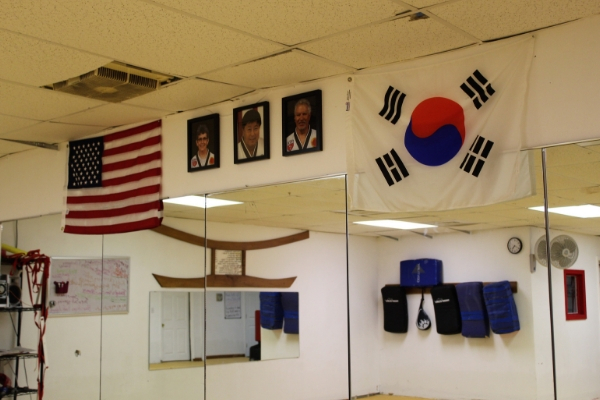 Our training programs include several steps to help our instructors gain proficiency in teaching the art of Taekwondo. Several of Asheville Academy of Taekwondo students have gone on to open their own schools and clubs! CONTACT US today to learn more about our school and how we can help you in your physical, emotional, and mental growth!